A teenage boy awakes from a deep sleep to find himself at Penn Station in New York City, with no memory of who he is, or where he came from. His only possession is a book at his side: Walden, by Henry David Thoreau. He decides to take the name Henry David, shortened to “Hank” by Jack, a street kid who befriends him. Shortly after they meet, Jack and Hank are involved in a crime with a kid-exploiting criminal called Magpie. Afraid to approach the authorities for help, Hank flees to Concord, Massachusetts, hoping that Walden–both the book and the location–will offer clues to his identity. That first night, Hank sleeps outdoors at the site of Thoreau’s cabin, then seeks shelter in the local high school and the public library. A tattooed, motorcycle-riding librarian/Thoreau historian named Thomas takes Hank under his wing, and guides him on the painful path to discovering his true identity. When Hank can run no further from the truth, will he confront the tragedy of his life or seek the ultimate escape? was one of 36 books chosen, one of six Young Adult titles. A large number of junior high and high schools across the country have added Being Henry David to their curriculums, as all-school, all-grade, all-class reads, and to supplement units on Thoreau, Walden and the transcendentalists. Teachers have also identified BHD as being a good choice for reluctant readers and male readers. I read a lot of teen books partly because I am a young adult librarian, but mostly because I really like them. I really enjoyed this one. I could not wait for ‘Hank’ to discover his true identity. It was also interesting because I had just visited Concord last fall (although my wife and I skipped Walden Pond – neither of us being Thoreau fans and having limited time there). 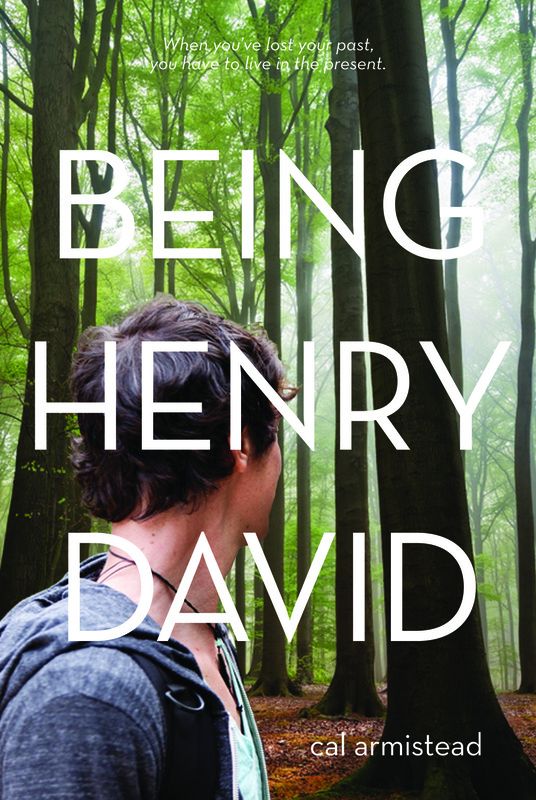 I wrote about your book on my blog: http://willteenbooks.blogspot.com/2013/05/being-henry-david-by-cal-armistead.html. Pingback: Let the season begin | swim.bike.read. Thank you for coming to BayPath College this month to talk about your book. Wonderful, wonderful book. Now I know why Sue Kaplan said it was the top pick for the young readers in the Link to Libraries program. I will be sending your book to ND to share with my family. Can’t wait for your next book. My 13 yr. Old son and I often read books together. Yours spoke to us so much that I wanted to thank you and let you know that now my book club is experiencing it too. It’s nice to read something that’s based in reality with such a strong message about the importance of finding oneself. Thanks for a great read. I’m a middle school teacher & aspiring YA writer, so I read heaps of teen books. Hank’s story was compelling, the characters he interacts with along the way are fully developed & complex people, & the ending was incredibly satisfying. I’ll definitely be pushing this one on unsuspecting students. I absolutely loved the book. I have to say, in my 6 years at Seekonk, this was the only all-school read book that I loved. Your visit today was so inspiration as well. Thank you so much! So happy to hear it–I had such an amazing time today–thanks for having me! HI , I accidentally came across your book in a book store , and after just three days i have finished it , to be precise , just 5 minutes ago and I LOVE YOUR BOOK OMG I literally can’t stop reading it and just omg it was awesome. Victoria, I’m so glad you loved my book–that makes me so happy! You made my day. Thanks for taking the time to write a comment! David–hey, thanks so much for writing! I hoped to put some little clues in about what happens next, and I like readers to think about what YOU think happened. 🙂 But since you asked, I’ll tell you what I think. Yes, Danny comes back to Concord, and yes, he and Hailey get reacquainted, now that he knows who he is. After his dad finds him in Maine, he has to go home and figure things out with his family and finish school, but by summertime, I think Hank will be back in Concord! Cal. We spent sometime together in the Ocean Park Writer’s Conference in past years. Am in the midd of your wonderful book. It is especially meaningful for me now as I am in the middle of a year’s blog with Henry David Thoreau. Each morning, I write to Henry David. Tomorrow, Nov. 30th, I will be writing to Henry to tell him that his amazing life goes on in your novel; he is on the move in this generation. I thoroughly enjoyed this book. Well done! Hank is a wonderful character, and Thomas is so rich. Thank you so, so much for your comment and for your wonderful review! You made my day.